The final pattern from the Magical Maladies Collection has been released. 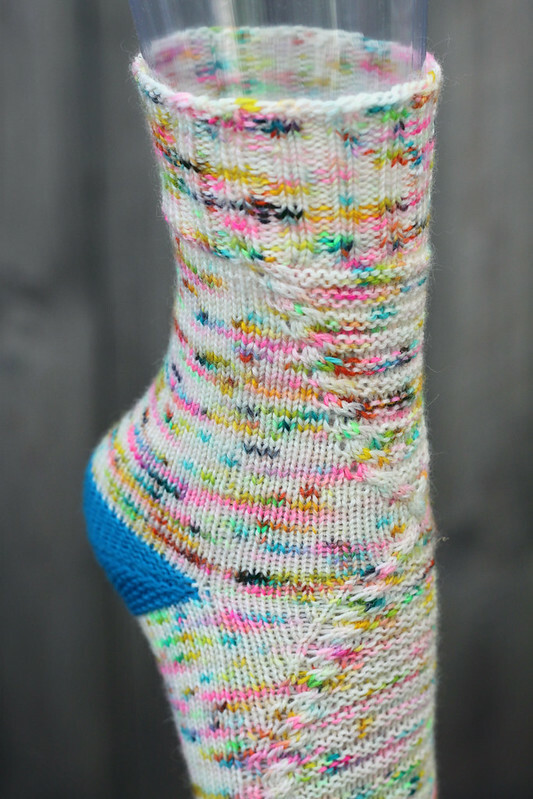 Magical Maladies is a Harry Potter-inspired collection of four sock patterns that feature texture and simple traveling cables. All patterns are written for both cuff-down and toe-up socks and come in four adult sizes. 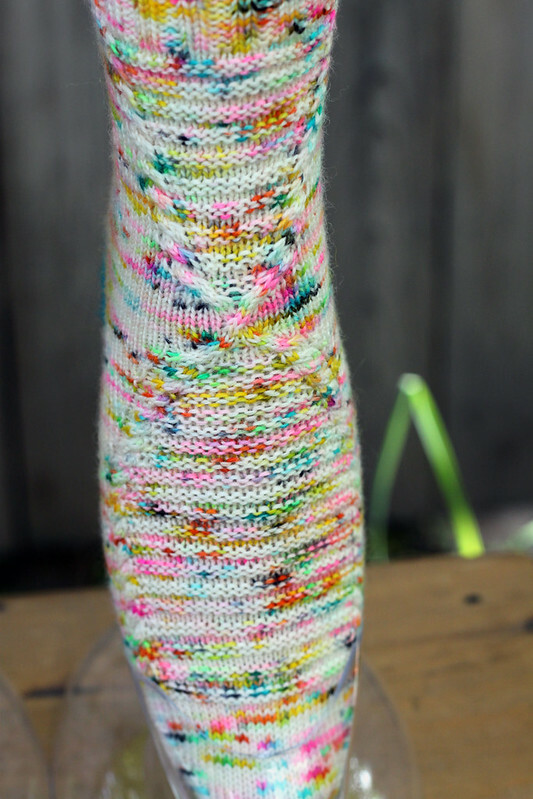 St Mungo's has a double garter texture flanked by simple cables that cross in the center of the sock. I was reminded of the logo for St Mungo's, which is a crossed wand and bone. The instructions are a bit more complicated on this one but it's fairly simple to work once you get the hang of it. 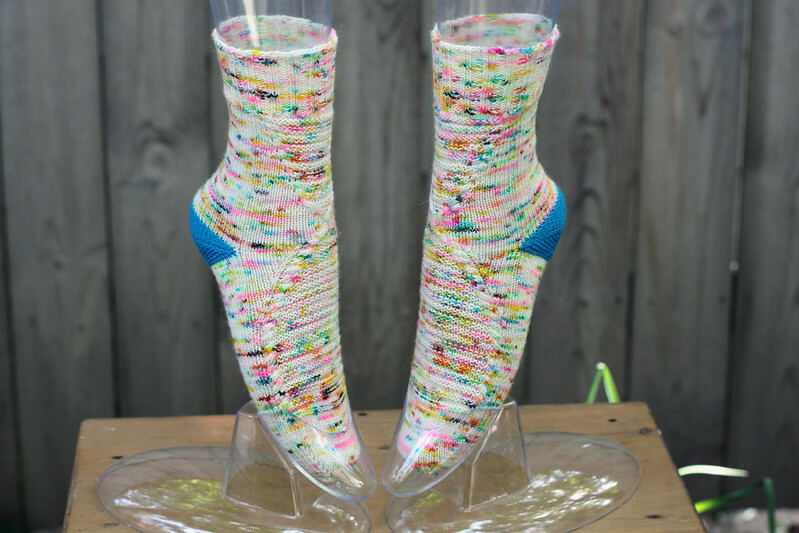 I used amazingly gorgeous yarn from Spun Right Round in the Shock Star colorway with Knit Picks Stroll Brights for the garter short-row heels. The collection is $18 for all four patterns and individual patterns are $6 each. Come join our Ravelry group and participate in the knitalong. We have so many fabulous prizes, and a grand prize for those who knit all four patterns. The KAL concludes November 1.